Dwell, showcasing Sue Beyer’s latest series of work, investigates the effect spaces and suburban settings have on an individual’s emotions and behavior. 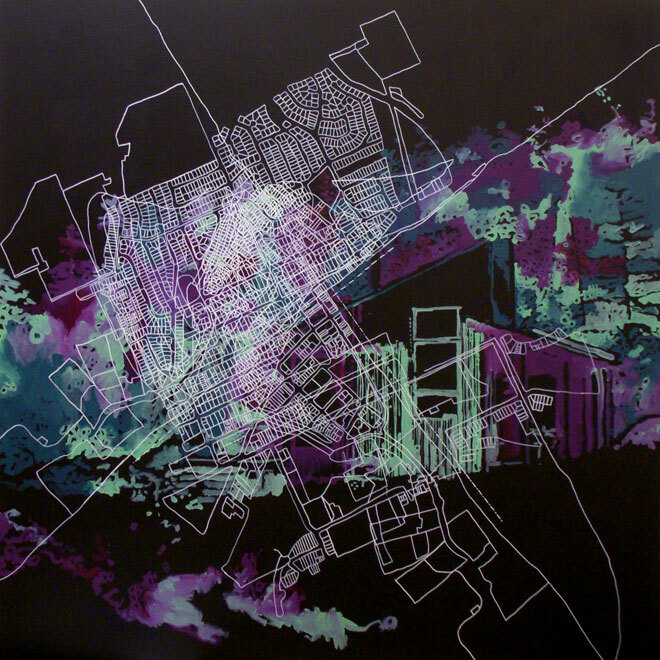 Her pieces also consider how we use space in an urban context. Image: Sue Beyer, They were trapped in a menacing maze of corridors (detail) 2011, synthetic polymer paint and posca pen on canvas. Courtesy of the artist.